Whistler's skiing experience is a bit different for a European; for a start, the paucity of cafes on the hill means that opportunities to start the apres ski early are a bit limited (and there is something of an unwritten rule to not get too stuck into the lunchtime beers, particularly if you're planning on doing anything challenging during the afternoon). The second difference is that the lifts close (in late January at least) at 3pm at the latest, with the more remote or less popular lifts closing any time between 2pm and 2.30pm. This means that there's a need to be mindful when planning your day, and a need to start early! Whistler encourages this through the "Fresh Tracks" breakfast. "Fresh Tracks" is a ticket which you can buy in addition to your lift pass; two tickets (for any day of our stay) were included in the package that we travelled on. 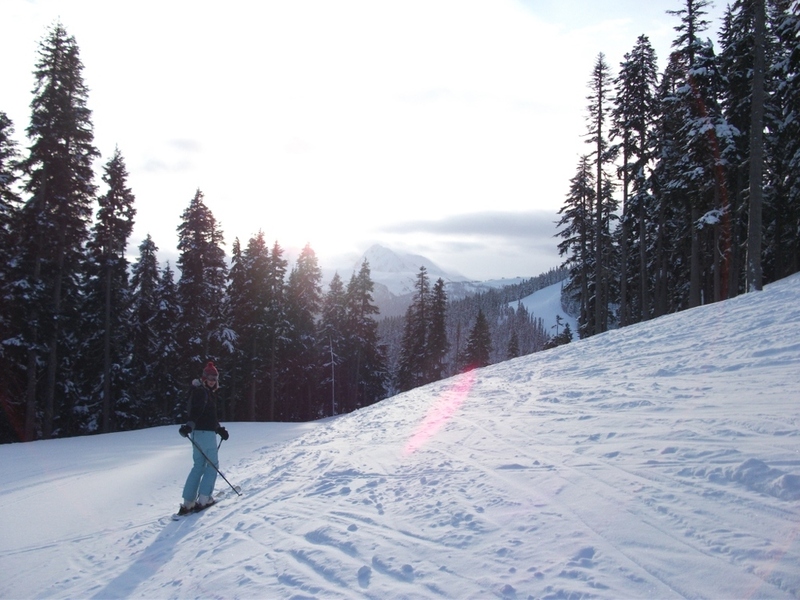 Lifts are available from 7am and bleary-eyed skiers and boarders catch the Whistler Village Gondola up to the Roundhouse Restaurant, with fantastic views around the valley and to the surrounding mountains. 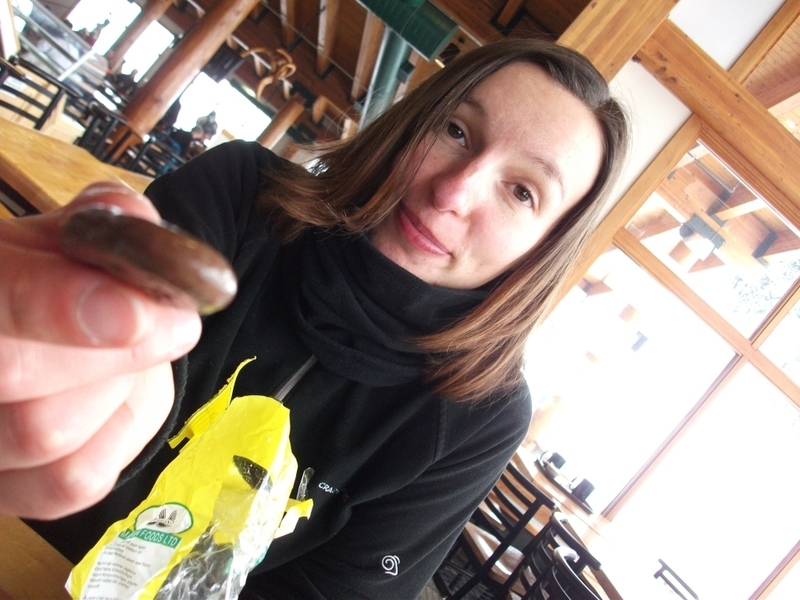 Nature's Path Organic Food provide a breakfast which includes a fry-up, pancakes, pastries, fruit and cereal; you can return as many times as you like, while the caffeine works its magic and you start to appreciate the panoramic view and empty pistes. The alarm sounds; the scramble for the door starts as the pistes are declared open and the skiing day begins. We arrived somewhat after 8am – very much a late arrival – but it was still the earliest start I think we've ever managed on a skiing holiday. We gorged ourselves (fruit and pancakes for me; bacon, eggs and hash browns for Dave) and then headed out of the door. We chose a nice easy route for our start, and although the new snow was a bit thin on the ground, the groomed piste (Marmots) was empty and wide open in the sunshine. We scooted down and it proved a great way to start the day, although it meant I needed a break for a hot chocolate and a snack at about 10.30am!